FREE Kate Spade Live Colorfully Fragrance Sample! Can't wait to see how good this smells! 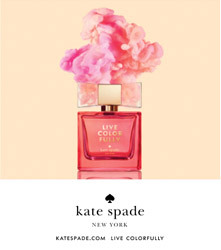 Hurry over to score a FREE Kate Spade Live Colorfully fragrance sample from her Facebook page! Looking for more freebies? Click here and scroll down the page to see them all!